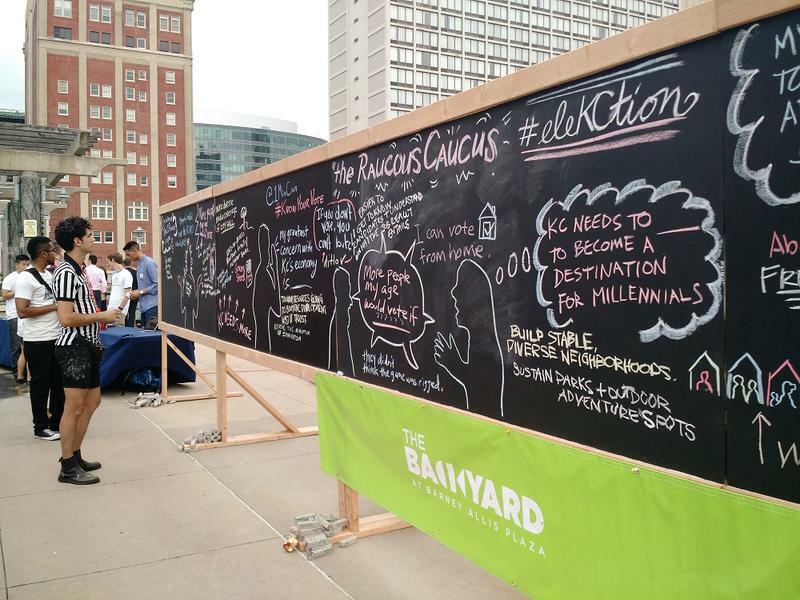 The 'Raucous Caucus' event at Barney Allis Plaza Friday focused on getting millennials in touch with local politicians to motivate them to vote. 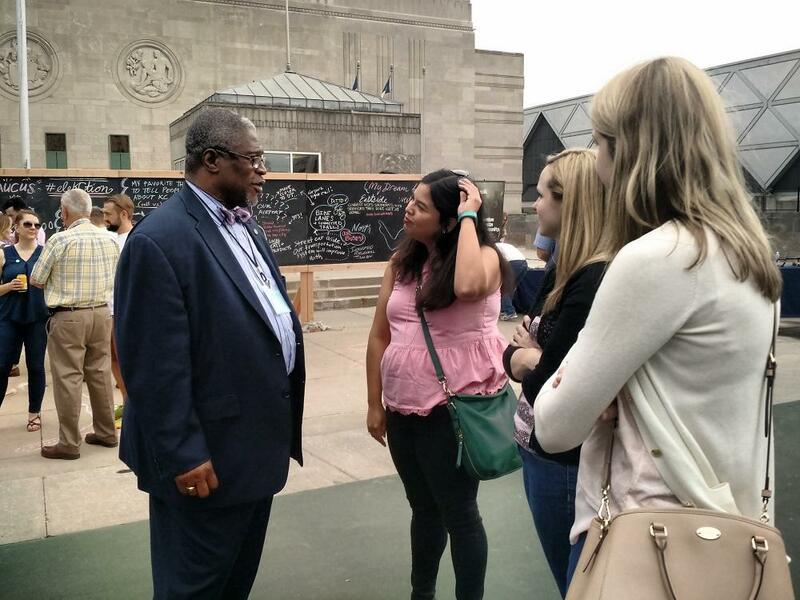 Kansas City Mayor Sly James talks with a group of women at the event. Many city council members and candidates in the coming municipal election also attended. The event was co-sponsored by mySidewalk, LiveKC and The Pitch. MySidewalk's Rachel DeSchepper says getting millennials to see the long-term effects of voting is key to getting them out to the polls. "For millennials, maybe things that they're really passionate about like the streetcar or east side development, they don't see those issues on the ballot, so they don't think they have any say in it," DeSchepper said. "But the people you're voting in for the next four years, they're going to be making decisions that will affect us for the next 20 years." Erik Wullschleger of LiveKC, a group focused on making Kansas City more attractive to millennials, says that he doesn't expect young voters to turn out in droves for municipal elections, but wants to start shifting voter demographics slowly. 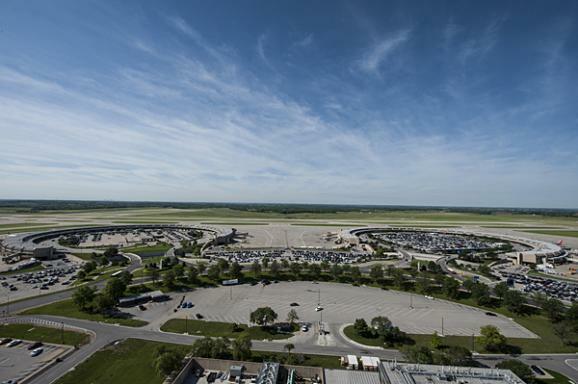 "I want to at least move the statistic," Wullschleger said. "I think, realistically, we won't overtake the age 60 plus demographic, but can we at least beat the 90-year-olds? I'd like to think so." Kansas City's general municipal election is June 23. The Kansas City, Missouri, City Council elections are fast approaching, and several of the races look to be closely contested. One of those is in the 4th district, where former Jackson County Executive Katheryn Shields is giving incumbent Jim Glover a spirited run. Both Shields and Glover joined Up To Date host Steve Kraske at the KCUR studios to discuss some of the city's most pressing issues. Two seasoned politicians go head-to-head on this edition of Up To Date, leading up to this month's elections. Jim Glover is currently serving as Councilman for the 4th District At-large. Katheryn Sheilds is the former Jackson County Executive and is challenging Glover for the 4th District seat.